Janelle by Wig America – Your overall look can be changed in an instant with a new, beautiful wig. Forget about sitting at the beauty salon. There’s no need for you to waste the money and time. You could be saving both by wearing the Janelle from Wig America. The Janelle features long, straight hair with slight layers on the sides and ends. Just the right length for you to play with. As part of the Naturals Collection, this hairstyle appears to be your own when worn. The perfectly placed hairline creates the illusion necessary for an entirely natural appeal. The Janelle also features a packing top, which has short fibers at the base that blend seamlessly into the longer ones towards the top. As a result, you can add your own sense of style to this hair effortlessly. Some styling product, or a brush, is all it will take to achieve the desired effects you're looking for. Available in many colors for you to wear and look great in, the Janelle by Wig America has everything you're looking for in a wig. A low price, the highest quality, and the perfect look all rolled into one. 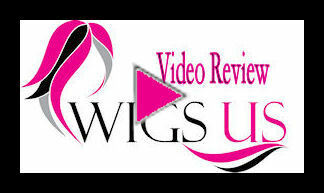 Wigs has a permatease/packing top - shorter fibers which when blended into the longer fibers adds volume and versatility to the style, allowing you to move the style from side to side. I am an experienced wig wearer. I have wigs priced from this one (cheapest) to over $3K. This particular wig is nearly perfect (would like a monofilament part). Looks great right out of the box. I wanted a different color, but the 613/27 is still lovely. Lots prettier than the photo here. My favorite wig...I will get more. I have been wearing wigs for 40 years. I have three custom European hair wigs, but I like to have some synthetics to use for traveling, working out, and other miscellaneous things since synthetics are easy -- just wash and wear. I have to say that this is a gorgeous wig. Right out of the package! It looks better than the photograph. I usually have to add more hair to the more expensive synthetics, but this one is beautifully full. I got the 27H24BH613 and it's a little darker than the photo. Anyway, all that I would ask for is a mono part. Gorgeous wig. I've been buying and wearing wigs for over 25 years and this wig is nicer than the more expensive wigs I've bought in the past.